It has been a while since I've commented, and the reason for that is that the last couple canon posts have posed some conundrums that I have trouble processing. I'm confused by the Soviet attempt at recovery for instance. In general it isn't problematic, as we don't know yet how well it works. It is all very well to proclaim reforms, but making them actually happen, and then having them actually work, are very different things. But what throws me is the East German brainwave of selling their petroleum allocation. One might suppose the Kremlin planners were too hidebound and conservative to think of simply trying to sell their petroleum production on the world market directly, i guess. They designed their input-output material flow models in an era where oil was cheap for one thing. This might also explain why they allocate more petroleum to their satellites then the latter would strictly need--if they were able to adopt Western conservation methods adopted after the oil crunch of the Yom Kippur War. (The second oil crunch of the late 70s was due to the Iranian revolution, which is not happening here--yet--due to heavy US intervention, which the Soviets tolerate quietly in return for a free hand in Afghanistan). But how much oil can the DDR sell, without sacrificing production goals the stuff was allocated to permit? If it is possible for them to then use the money from selling the oil to simply purchase on the Western market the items that oil was supposed to support producing in East German factories and fields--well that's a really glaring commentary on how extremely inefficient those productive processes were in the DDR! A combined play would be to sell some of the oil, and use the money not only to purchase the shortfall in planned items but also to renovate the processes to be more efficient. If they just shut down the factories and farms and bought the items, not only would it be doubtful they could come out ahead but they'd be violating the premise of a Socialist People's Republic, in which everyone is guaranteed jobs; even if the workforces idled were still paid the same wages and able to buy the same goods, it leads directly to social unrest even so. Anyway the oil is not drilled in the DDR and the only reason I can see for the Soviet hegemons to allow this to happen is if they realize that the satellites can perhaps manage to close deals with Western bloc nations that the Soviet Union itself would not be allowed to make. So it boils down to a money laundering scheme, but it is hard to see how the satellite regimes are allowed to pocket more than a tiny token of the proceeds. The oil comes from Russia after all. That was the least of the puzzles that bother me though. Going on in order of ascending puzzlement, I don't see how Columbia can manage its modest Lunar orbital mission on the propellant margins the Wiki page gives it. 1900 m/sec total delta-V strikes me as quite inadequate; it allows practically nothing for mid-course corrections and even with allowing exactly zero for those, it doesn't seem quite enough to go into low Lunar orbit and then out again and back to Earth. We could free up a little margin by supposing that the Columbia capsule is sent, not on the fast TLIs of OTL's Apollo, but on a minimum energy Hohmann orbit. Such a TLI would save very little propellant in the launch itself but it would have the ship approaching the Moon at at a significantly lowered speed, knocking a few hundred m/sec off the maneuvers into and out of LLO. However there are two prices; for one thing the transit to and from the Moon is slower by a couple days. For another, there is no possibility of a free return orbit; these require "ballasting" the approach to the Moon with the extra velocity the faster orbits provide, and a minimum energy approach would absolutely require a successful rocket burn to achieve a survivable return path to Earth, even if the orbital mission were aborted. If their rocket fails they are simply dead. It better not fail! Another way to get more margin for Columbia, and allow for faster transit and possible free return orbits, would be if the "low" Lunar orbits were a lot higher than those used by Apollo OTL. Apollo of course was aimed single-mindedly at landing men on the Moon and had to go for low orbits just a hundred miles or less above the Lunar surface. Columbia can opt for higher orbits since there is no immediate prospect of landing; if the Soviets were in a better position to compete there might be a "race" to achieve the closest orbit but the Russians can't even put anything manned into orbit at all. So I guess Columbia might be marginally able to claim to make low Lunar orbits after all--if we push the mission toward the margins in several ways. But then the talk of extending Columbia into a Lunar landing program is, as the author has later clarified, still just talk. It is perfectly clear to me that the tonnage of Columbia, which clearly should be greater to perform the mission of going down to low altitudes to retrieve a lunar landing crew, is far too low to serve as a suitable LM. That is, presumably if Columbia is the most the Americans can yet place in lunar orbit, a custom designed LM of the same mass is simply too small, about half the size of the OTL Apollo LM. Thus a mission to the Moon designed around the existing Minerva rockets would have to rely not on two but three launches, or even four, to provide for an adequate set of craft to get the job done. The more launches, the more problematic linking everything together suitably, before all the hydrogen boils away, becomes. I think it might still be done, but it is going to be a major project, not a simple extension of Columbia. The Air Force proposal for a successor to DynaSoar launched with a single fuel tank and reusable engine from the back of a subsonic airplane strikes me as preposterously impossible! The problem, in a nutshell, is gravity loss. I can believe in a disposable tank holding a couple hundred tons of hydrogen-oxygen propellant to fuel a single J-2S installed in a trailing reusable manned spaceplane in the 10-20 tonne range all right. Such a rocket setup should be able to push itself to a 7800 m/sec orbital velocity, starting from the 300 m/sec or so that an airplane cruising just below the speed of sound in the stratosphere provides. Indeed we don't want the assembly to actually reach full orbital velocity, not quite--we want the fuel tank to burn up in the atmosphere, otherwise we are cluttering up low orbital space with lots of loose tumbling tanks as so much space junk. So the actual delta-V achieved should be some 50-100 m/sec less, with the spaceplane required to circularize its orbit using onboard auxiliary rockets, presumably hypergolic. But in the interim, it is going to take hundreds of seconds to achieve the necessary near-orbital velocity, and during those seconds it is necessary to climb from stratospheric to a suitably high altitude for sustainable orbit--I guessed about 100 nautical miles, at which the speed is the aforementioned 7800 m/sec, just about. It is not enough then to provide the acceleration needed merely to close that velocity gap--the craft must be lifted well over a hundred kilometers into near-vacuum. And the average speed necessary to do that is dwarfed by gravity loss. Over hundreds of seconds, during most of which the pull of Earth's gravity is countered only a very little bit by centrifugal force, the downward acceleration will mount into thousands of meters per second. Averaged over the 7000+ it needs to make tangentially this is not so bad, but unfortunately we can't average. We can to an extent. If we want a graceful, elegant approach to orbital altitude, we need not thrust at all in the vertical direction as orbital speed is approached--we use the residual net pull of Earth's field to brake the climb to a stop just at the altitude we want. In this last phase of boost, gravity "loss" works in our favor. But this means we have even less time to make up for the downward pull we don't want, earlier in the boost! And where we need the most thrust, at the beginning of the burn, we have the least acceleration available. What we need is to already be moving upward with considerable velocity, a thousand meters a second or more, when we start the spaceplane's installed rockets. There is simply no way to get it with the arrangement offered by DoD a couple posts back. A whole lot of thrust might seem to be the ticket--but thrust costs engine weight, and we can't be planning on installing too much engine weight in the spaceplane. Enough thrust would have to be provided by other engines, which in the DoD sketch have no place to be installed and no prospect of recovery, nor is it clear where their propellants would be stored. Doing it by the brute force of installing another stage messes up the concept in a lot of ways. The booster stage would have to be disposable for one thing. Where to install it? The spaceplane is in a good place vis a vis its own propellant tank; if air launching it would work, then it can easily abort by separating from the tank and maneuvering away. But if a booster stage were installed behind it it would be sandwiched between two tanks and in a terrible position to escape. Should we mount twin boosters on the sides of the tank? That puts the spaceplane right between their two exhaust plumes! No matter how we arrange the booster, obviously it will have very large mass compared to the second-stage tank and spaceplane; we must double or more the take-off weight of an already fantastically large carrier airplane. Is there a way to save the basic concept, of "zeroth" stage airplane carrying the tank and spaceplane to a suitable height and speed to release it to finish the job, with the airplane then flying back to base and only the tank being lost? I say, sure there is--but the airplane would become a piece of really grandiose engineering! It might prove to have other uses, or simply so cheapen orbital operations there is a large demand for many of them operating continually in the launch role--but while the long-run economics might work out to be cheap, the short-run development costs would be colossal and the time frame would be a decade or more I guess. What is needed is not subsonic but supersonic launch--indeed the plane should not launch the rocket until it has not only exceeded the speed of sound by a considerable multiple (Mach 3 or more) but also gained a very large upward velocity, to buy time for the spaceplane's modest rocket to push for near-orbital speeds. Launching from 1000 m/sec instead of the near standing start of 300 that a subsonic launch offers will cut down the necessary mass ratios to achieve orbital speed significantly--which is good because even with an upward toss of a kilometer per second or more, we still need a lot of downward thrust during the burn to to maintain an adequate upward speed. Although a supersonic plane that can raise itself and a hundreds-of-tons payload by aerodynamic lift alone to start climbing at several G's is not impossible (just very very grandiose and expensive to develop! ) as it cranks up the lift coefficient to climb it will of course greatly raise the drag; the thrusts needed to climb will dwarf those needed to merely achieve and maintain supersonic speeds flying more or less straight and level. We are not merely climbing; we are pouring on the coal to rapidly achieve upward speed measured in kilometers per second. As it climbs, the angle of flight will be turning vertical even if we have managed as much as 1000 m/sec horizontally and maintain that; we are aiming for launch angles of 45 or even 60 degrees above the line to the horizon. Obviously we can't rely on airbreathing jet engines, even upgrades of the ones used on SR-71 or the Valkyrie B-70 bomber, for this phase--at this point we'd need rocket engines putting out ten or more times the thrust, guzzling down propellant to do it. We'd need them only briefly, a minute or so, then the plane can release its payload which can then boost on to orbit on its own. Besides the sheer inadequacy of the jet engines to give the burst of thrust we need, we would also obviously be climbing, in this brief minute of burn, well above the levels of the atmosphere where jet engines could be sustained--indeed, the wings even in their most aggressive angle of attack would be providing little to no lift. In the final boost, the airplane ceases to be an aircraft and becomes, gradually, a ballistic rocket! A drastically suborbital one to be sure, but I suppose it would coast on under its upward inertia to a hundred kilometers or so altitude, and there reach apogee and start curving back down on a steep parabola back into the atmosphere. The thing, to be recoverable, would have to brake hard, presumably by turning to put its flat side flat onto the velocity vector, braking down to more or less sustainable speeds--Mach 2, say, or perhaps even falling below the speed of sound, before restarting its engines and flying back to base. This, I submit, is the sort of airplane it would take to get the job done on the terms the Air Force proposes. Subsonic launch will not cut it! Such an airplane might after all be worth developing. But it is clearly a gigantic project, not a simple kludge of anything off the shelf as the presentation so rosily suggests. It must first of all lift itself and any propellant it contains along with a couple hundred tons of cryogenic propellant tank with a spaceplane stuck on the end off a runway, then climb to the stratosphere with this load on airbreathing engines, then push the whole ungainly mess through the sound barrier and on to Mach 3 or so. We have good reason to believe this speed should be attainable, despite the awkward parking of a tank and spaceplane on top (or below, might be better). But at what mass ratio, of airplane to cargo? It is pretty Utopian already to suppose the ratio might be as low as 1:1. But note that if the orbital part already masses at least 150 tons, and possibly twice that, the TOW is already in the 300-500 ton range, which is to say pushing the limits of anything achieved hitherto OTL. We must bear in mind the carrier plane must not only carry fuel to climb and boost to a straight and level Mach 3, but then carry a lot more rocket propellant to double that on the way to suitable release conditions. I'm guessing that overall, we'd be amazingly good engineers to get the launcher plane down to just twice the mass of what we have to launch, and so we are looking overall at something between 500-1000 tons! And that is not run-of-the-mill subsonic aircraft but something that can match the performance of an SR-71. It is a real monster. If it can be done, it would definitely be something to be proud of, and despite the obviously staggering expense of making and maintaining it, it might after all lower the cost of launches to orbit overall. Well, it had better! But of course this supersonic Goliath is not at all what the Air Force is asking for in the ATL. What they ask for--cannot, as far as I can see, fly at all. There is no way to get enough thrust into the spaceplane to boost to orbit from a puny horizontal Mach 0.9 and a vertical standing start! Something needs to give. Aha, says someone--what about Pegasus? That's real world OTL, it is a rocket launched from a subsonic plane, so there! 1) Pegasus delivers an order of magnitude less mass to LEO than the ATL USAF launcher must, a ton or so. 2) to do so, Pegasus uses a higher ratio of propellant mass to orbited load than the ATL USAF could afford to--the airplane that can raise the necessary propellant to get the spaceplane into orbit would already dwarf the biggest thing in the American inventory and even the most overgrown Soviet design. 3) in some combination, Pegasus either uses engines that put a very high G load on the payload as it reaches orbit, or uses multiple stages, with the major portion of total thrust created being in early stage engines that are disposable. The ATL USAF is claiming they will recover the engines used. My monster supersonic Mothra of a launcher will meet that claim (though an order of magnitude more thrust total will be installed!) Pegasus cannot. Nor can even USAF test pilot astronauts be expected to endure the G loads I believe Pegasus launches put on their payloads. Aha, says someone else--look, the Soviets of OTL had similar plans! Look here at MAKS for instance! Yep--the Russians were thinking about doing something similar, with the spaceplane installed on the tail end of the tank just as the author has shown--I would guess this is really a ripoff of MAKS. But IIRC--I might look it up soon, but right now my browser is overloaded as it is --MAKS was going to rely on an ambitious approach involving tripropellants. The tank would be bigger, but modestly so, because initially the rocket would burn kerosene and oxygen, generating a higher thrust at lower ISP; this high thrust would get it past the crucial crunch phase of low speeds, then it would switch over more or less gradually to burning hydrogen for higher ISP with lower thrust (but now the mass of the assembly would be much reduced). I'm not at all sure it would work, and note how the Russians haven't made it work in thirty years or so, nor has any richer power purchased or stolen the concept from them to realize it. It might be a more sensible investment than others that have been pursued--but there are still some daunting barriers. Such as developing a tripropellant engine for instance. There is no mention of this in the USAF proposal as given thus far. Perhaps the upcoming installment will elaborate to show the idea is indeed a transfer of the OTL Soviet concept. But I would need to see a lot of numbers to be convinced the approach will work! Being flabbergasted that the Air Force could get away with a such a blue-sky, rosy scenario with no numbers as a serious bid for replacing DynaSoar has paralyzed me for weeks now. I hope to see the logjam broken one way or another in upcoming posts. That was the least of the puzzles that bother me though. Going on in order of ascending puzzlement, I don't see how Columbia can manage its modest Lunar orbital mission on the propellant margins the Wiki page gives it. 1900 m/sec total delta-V strikes me as quite inadequate; it allows practically nothing for mid-course corrections and even with allowing exactly zero for those, it doesn't seem quite enough to go into low Lunar orbit and then out again and back to Earth. Apollo had a LOI burn of about 850 m/s to enter lunar orbit (search "delta" on this page about Apollo 16 on the Lunar Flight Journals, for instance). Apollo 16's TEI was 1027 m/s. That's within the 1932 m/s Columbia is capable of (the wiki page rounds down) and additional margin for midcourse corrections could be created by inserting into a slightly higher orbit. Bumping the capacity to 2,000 m/s for the mission would only consume about another 250 kg of propellant--well within the 800 kg of margin on the Minerva-B24c. 1930 is perhaps a little tight, but only be a few tens of m/s, and the margin is easily available to add the required prop for whatever margin is judged necessary. But then the talk of extending Columbia into a Lunar landing program is, as the author has later clarified, still just talk...Thus a mission to the Moon designed around the existing Minerva rockets would have to rely not on two but three launches, or even four, to provide for an adequate set of craft to get the job done. The more launches, the more problematic linking everything together suitably, before all the hydrogen boils away, becomes. I think it might still be done, but it is going to be a major project, not a simple extension of Columbia. You've very aptly summed up the issue NACAA faces with the Columbia Applications Program. You can achieve some benefits with a combined EOR/LOR mission mode and staggered launch campaigns--say, one launch to put up a ~20-ton EDS, another for the lander, and then those dock and go to the Moon, where the lander waits in orbit for a Columbia with the crew that can come a month later (hypergols, after all, are quite storable), but it's much more complex than OTL's "one launch and go". Shevek, I'll point you to this series of articles on the OTL USAF Air-Launched Sortie Vehicle, to which TTL's Shuttlecraft owes a large debt for a longer summary of how it's possible. The short answer is that the tank (like the OTL ET) needs to be very light, and the payload does end up being fairly small, both in absolute and in %GLOW terms, but it's quite doable within those constraints. "Never" is a long time...the 1959 space plan would have established much stronger infrastructure for a later lunar expedition in the 1970s or 1980s than the actual Saturn program. Provided it doesn't become a "dinosaur," there's a decent chance that at some point some ambitious space exploration program (in a relative sense, something like one of the Bush plans) is established and people land on the Moon. It won't be in 1969, but I'd put decent odds on it happening by 1999. As I often do, especially for whatever strange reason on this thread, I have started to do the Bloody Research after pontificating out of thin air. (And in doing so, discovered, apparently the error of my ways, to telegraph the ending. I have yet to look at any of e of pi's references, as I preview and prepare to post this--but my attempt at analyzing the Soviet MAKS proposal is enough to convince me that it is doable without supersonic rocket launchers, and even that one does not need the fancy engines the Russians bogged down on and then belatedly developed to find no takers. A couple J-2S engines are enough for the American version, three or four would allow a full-sized MAKS though we'd need a bigger airplane than anyone but the Ukranians have in hand to do the latter. What follows was begun before I looked into MAKS). But so far what I am finding about Pegasus bears me out. Looking at the original version (now phased out for a more capable one) the solid-fueled Pegasus had an even lower payload than I thought. Assuming the ATL Air Force manned spaceplane is meant to mass about 12 tons (remember, that includes the engine and thus a good part of the TPS used is for recovering that engine) whereas the original Pegasus delivered less than 450 kg to orbit, we can see that we need to scale up Pegasus by a factor of 25 to launch the spaceplane. Since Pegasus mark 1 massed 18.5 tons that means a scaled up version would mass 463 tons! Its first stage engine. the Orion 50S, is a solid generating over 73 tons of thrust for 68 seconds. To scale that up and get it with J-2S we'd need 1752 tons of thrust--as predicted this is high G on 463 tons, and would require seventeen J-2S engines! Of course if we used such high-performance engines instead of the solids we'd have better propellant efficiency, but I think it is plain there is no way to install enough of then in the spaceplane to be recovered. As predicted Pegasus is multi-stage; multi-stage is in complete violation of the Air Force's talk of reusability. There are ways around it of course but I think I've covered the best way--integrate the high thrust engines with the launcher airplane and recover that as a whole, and a low thrust single J engine spaceplane can finish the job as advertised. Now, when I turn to MAKS, it may seem I might want to eat my numerous and dry words after all. This, or competitive American or other Western proposals, is presumably the basis of the ATL proposal. The Soviets developed the RD-701 engine--reading between lines at Encyclopedia Astronautica, I infer that as of 1991 it was not fully developed but testing finally occurred in 2001 and Energomash is still trying to sell it, claiming a tenfold reduction in launch costs could be realized. It would seem that, massing 4 tons, in its mixed kerosene/hydrogen mode it puts out 400 tons of thrust at a vacuum ISP of 415 seconds--as MAKS proposed to launch at 9.5 km altitude the air would still reduce it significantly. In high-performance hydrogen only mode it would have an ISP of 460, and a thrust of 160 tons. The tank would mass 250 tons full, 11 dry, and a cost of $5 million is quoted, no reference to what year, presumably some year after 1991. The orbiter would apparently be about 28 tons, or over twice the mass the mass of the USAF proposal of the ATL, so presumably if the Americans can match the specific engine proposals we can cut all these masses in half. Thus the Air Force version would mass 137 tons all up, and could be carried on an airplane half the mass of the An-225 Mriya. So the Air Force would need to adapt a plane with maximum TOW of about 320 tons and massing 140 tons empty; if a C-5 could not be modified for the job I suppose Boeing would custom-design a 747 variant, or possibly Lockheed could sell a version of their flatbed cargo liner proposal I guess. The spaceplane, at 12 tons, would have a single engine at 2 tons enclosed, leaving more than the original DynaSoar mass for the rest. But is even 200 tons thrust, twice that of the J-2S, adequate for a suitable climb? Well, on engine thrust alone, without considering aerodynamic lift (and even without wings, this can be considerable on the tank) tilting the craft over less than 45 degrees would give enough thrust to bear the weight while still leaving some 145 tons to accelerate it at more than 10 meters/sec. To be sure we have to consider that along with lift, aerodynamic drag on a tilted arrangement would be considerable, but since the lift is in excess of the thrust the engines provide to cancel the weight I suppose the upshot is that at first it picks up speed, perhaps even enough to punch through the sound barrier, while rising slowly, then gradually as the air drag becomes severe enough to absorb most of the tangential thrust the lift also becomes great enough to shove the craft upward; this brings the angle of airflow into line with the thrust axis and as mass is expelled from the tanks the engine thrust shoves it both forward and upward. At some point it is necessary to throttle back to 80 tons thrust to conserve propellant mass, but by then we are going fast and high. The EA reference seems to imply that the hydrogen mode can be further throttled back to 32 tons, though I might be confused by it calling the difference between high and low thrust modes "throttle". Even if it can't be, the thrust at burnout would be something under 5 Gs on the dry mass, which is about 18 tons. Trying to figure the net delta-V is tricky because the engine is bimodal; it may be a useful guide that EA often gives an average ISP of 437 seconds. There is 239 tons of propellant (for MAKS); at 415 seconds ISP and 400 tons thrust we consume 982.5 kg/sec in 243 seconds, while at 460 seconds and 80 tons thrust this becomes 177.3 kg/sec and 1348 seconds. The overall burn time is given as 440 seconds. A little algebra says it burns in high thrust mode for 200 seconds, consuming 196.8 tons and leaving 43.2 to be consumed more gradually over 240 seconds. Thus with all up mass for MAKS of 278 tons at release, we have theoretical delta-V of 5010.4 m/sec, followed by a second burn of 43.2 tons from 81.2 giving further delta-V of 3426.5. The first burn requires 200 seconds during which gravity pulls down somewhat less than 1962--less because we started out going 300 m/sec presumably due east on top of the Earth's rotational speed at whatever latitude we launch from, and wind up going thousands of meters/sec faster in that direction, so we always weigh a little less than we would stationary. But not a whole lot less, even at 5600 m/sec we'd still weigh 48 percent of our stationary weight, and most of the weight savings comes only toward the end of the burn. Bearing in mind we suffer some air drag losses too, figure 80 percent of the gravity loss applies, and call it 1570. We have to deduct the square of that from the square of the delta-V and take the square root to get a more likely actual gain in tangential velocity--4758. But also note we have to be climbing at an average speed of 425 m/sec to be approaching a target altitude of 180 km from a starting height of 10 km, and that since we start with zero velocity in the upward direction we need to gain all this speed as acceleration, meaning we need to reach double that speed in 200 seconds, and thus we have to be accelerating at 4.25 m/sec over and above gravity. Refiguring then, gravity at 80 percent plus that gives us a total acceleration of 12.1 m/sec we have to maintain, on the average anyway, in the upward direction. So we really have to subtract 2420 squared to get just 4387 gained in the upward direction. OTOH, in the second burn we don't need to vector thrust upward at all really; coasting upward at 850 m/sec with effective pull of gravity halved and falling--it would seem we actually are going up a bit too fast now and could have done with less lift earlier on. So we probably gain more tangentially than 4400 if we do it just right, and that puts the 3426.5 of the second burn in just the right ballpark. All of this pretty much omitted aerodynamics, though I assumed some drag. Even on a body poorly designed for lift therefore, such as a spindle shaped fuel tank, we ought to benefit from some lift early on to compensate for the drag that is heaviest then. So yes, I have to eat some crow. With a bimodal engine working at these sorts of thrusts and ISPs, MAKS does seem to work out, and without redesigning anything to rely on aerodynamic lift. Now note that if the engine we put into the USAF spaceplane massing just 12 tons instead of 28 as per MAKS is a single J-2s I was not wrong--the key is to have substantially more thrust than the fully fueled rocket weighs. Even the surprisingly low 138 tons I figure here is more than the 100+ tons of a J-2 engine. Can we then do it with two J-2S engines? Well, two of them mass 2800 kg dry; this is 800 more than an American half size version of the Energomash RD-701. But after all the Soviets weren't able to get their full size version ready before the USSR collapsed and with it their development budgets, in 1991; here we are still not yet to 1980 except for a prophetic Moscow Olympics teaser. Also, while the Soviet-conceived engine was to reach a high ISP of 460, note it only uses that to get about 40 percent of total delta-V; the off-the-shelf J-2S is capable of the average effective ISP of the advanced engine already, and gives that (less atmospheric losses if we start our burn in the stratosphere) from the beginning where the Russian engine is only giving 415. In terms of thrust to weight ratio in high thrust mode we are clearly losing, and we should also consider that the name of the game here is to reuse the engines; the J-2S is not designed for that off the shelf unfortunately and we have to expect a reusable version to mass more. I also didn't like the idea of using two engines since as I will show, we need to shut one of them down--at burnout the American craft will mass just 17.5 tons whereas two engines, burning at the thrust specified on this timeline's Wiki page (2 x 1036 kN or 211.2 metric tons) would be shoving that at over 12 Gs! To be sure, the J-2S is designed to be throttleable, over a modest range below its maximum nominal output. And that the MAKS, if it were run by the simple model I deduced of full thrust for 200 seconds, would also be pushing 5 Gs acceleration at that point--when it would fall to 2 Gs and then over 220 seconds rise to 4 Gs again. Let's just assume that the astronauts and anything we want to ship up can indeed take 5, or if it comes to it 6, Gs. So if we have two engines and we fire both and assume atmospheric impediment is pretty negligible in the stratosphere, then we have 210 let us say tons of thrust, on a craft that masses let us say 140; when the mass has fallen to 42 tons, that is to say we have burnt 98 tons of propellant, we switch off one engine. I don't like it because two engines are tricky to get thrusting on one ideal thrust axis, but it is doable with a bit of nozzle gimballing I suppose. Each engine burns 242.2 kg a second so we have burnt 98 tons after 202.3 seconds, giving a theoretical delta-V of 5150. If spaceplane and tank mass 17.5 tons we have 24.5 tons of propellant left, which a single engine will consume in 101.5 seconds, for nominal delta-V of 3744. These numbers are all considerably better than MAKS; it makes me wonder if I've made a big mistake somewhere. But I don't see it; the initial thrust to weight ratio of each craft is about the same; the MAKS loses mass at a greater relative rate with its lower ISP but since residual delta-V after allowing for gravity loss was pretty good there and the raw delta-V of the American version is even better so it would seem, I guess that factor is more than compensated for. To my great amazement, if it turns out that making J-2S reusable is not going to cost a lot of mass, the air-launched mini-Shuttle seems to be feasible after all, without going over to hyper-advanced tripropellant systems nor needing fantastic ISP in the upper stage. We wind up hauling an extra engine that is dead weight in part of the burn--but only about a third of it. We don't need extra boosters nor fancy aerodynamics on the tank (though I suspect that kitting the tank out with wings might pay off with higher payloads--it would raise the cost of the tanks of course and thus might not be cost-effective, though I would guess it would be). The tank is tried and true bi-propellant as proven many times on Minerva upper stages--it does to be sure have to be designed to withstand some serious aerodynamic bending forces. We also have to settle the question of whether 5.5 tons mass is enough to hold 120 tons of propellant, while being strong enough to take the stresses, but it also seems that we have some growth margin to either raise the mass orbited (to account for heavier tank or engines) or else lower the propellant mass required for specified masses. And since we can indeed launch subsonic without needing a supersonic superplane, and the rocket mass is just 140 tons all up, more or less conventional airplanes can do the job. OTL of course the Shuttle Orbiters were ferried around, and even in early test phases test articles were airdropped, from converted Boeing 747s; Orbiters were over 70 tons dry and empty so we can be confident 140 tons can be lifted by a fairly conventional plane. Designed in the 1970s it would still want to have four engines; new versions some decades later might get by with just two though. I still don't think it's perfect, but I have to admit that stuff I thought was necessary is certainly not, and this sort of thing is attainable with more or less off the shelf technology. Neither the airplane nor the rocket requires anything that is not already developed ITTL (or for that matter OTL) long before the late '70s. 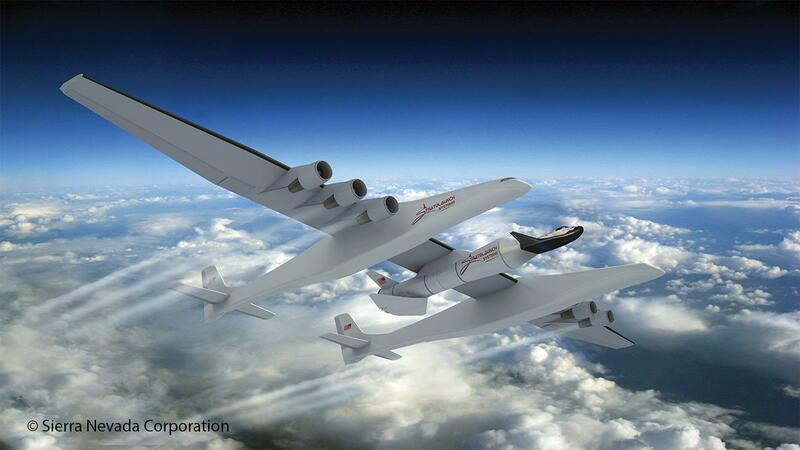 It surely is limited in scale to be sure--you can't double this thing to a MAKS size without inventing an airplane as capable as the An-225 and pushing beyond that craft's projected 10 ton payload would require inventing a still more gigantic airplane. It is not clear to me whether pushing beyond the speed of sound for the launcher would save more propellant mass than it would cost in extra weight on the airplane, and surely cost as well. But while the 2-3 tons or so of payload the Air Force's first edition of this thing could lift seems overly modest, going a lot beyond 10 tons per launch is probably not very necessary for most purposes. Consider me stuffed on crow then! People who complain about us not having gone back to the Moon or how we've "retreated" from our accomplishments pretty much tend to overlook how, in getting to the Moon first, we essentially did it by setting up an unsustainable pace with no inherent infrastructure capable of supporting further missions once that SINGLE goal was accomplished. (AAP was nice but it was really just justification for keeping and using Apollo hardware, not in and of itself "bad" but really at least a step in the "right" direction that we couldn't have afforded anyway) And frankly we have never gone about doing "space" right since that time as we're still only "dabbling" in operations 60+ years into it. But as the decisions which got us to the point are water-under-the-bridge in OTL and no-one seems interested in discussing that we back off and discuss realistic options in that same TL we turn to AH to examine things with different decisions. My own "prefect" ATL would include a more capable Atlas (original 5 engine monster that it was) and a reusable Saturn-1B equivalent but specifically NO "Lunar" challenge. Like this is different from most people in most respects? If the LV has to provide it's own "lift" (ala Pegasus) the wings have to be large enough to support the LV mass at separation AND you pretty much have to start propulsion from THAT point or you LV will inevitably begin to "fall away" until it's propulsion DOES start up. Which means (as noted) your going to be at (or more likely well below) the local horizon on start and have to propulsively and dynamically "pull-up" with all the structural requirements that entails. The only LV concept that avoids this issue that I know of is AirLaunch LLC's lanyard-and-trapeze concept (look it up it's neat) which rotated the LV to around a 70degree angle prior to engine start, allowing a (in the latest design iteration) three-barrel, TSTO-Pressure fed LV to put a 4 person capsule or 10,000lbs into LEO for ISS crew/re-supply. Which of course also gets into the "details" of the various launch configurations on design considerations Suffice it to say I've yet to see a "top-mounted" launch system suggestion that I consider viable given the constraints due to them NOT being able to achieve any of the above criteria. Bottom-mount AND a custom air-frame are probably going to be required for a viable air-launch design. And that's NOT necessarily a bad thing as it might seem as it allows more than a few "tweaks" in performance to arrive at a better payload-to-orbit solution. Sorry I’ve not had time to respond more promptly and completely to all the comments. I think the shuttlecraft comments have been pretty much covered, so just a few quick points on other aspects. Re-export of oil to the West was actually an OTL DDR policy which gave a very important boost to their foreign reserves. Apparently, when the policy was blocked in 1981, it led to a measurable decrease in the growth of East German living standards. IOTL, export of oil did indeed impact East German factory production, leading in the longer term to a turn towards increased use of domestically produced (and horribly polluting) brown coal, but the problems were deemed worth it to get vital foreign exchange to fund imports. ITTL sales to the West were blocked by Shelepin prior to 1974 for political and ideological reasons (plus the West at that time was not a willing partner and before the 1974 Oil Shock were able to get by without Soviet oil). Between 1974-76, the Soviet government was largely running on autopilot as the post-Shelepin power struggle played out, so no-one was able to take the initiative on the Soviet side, whereas the SED’s new leadership was able to take the initiative (partially thanks to a more receptive partner in Bonn) to boost their income through re-export. After 1976, the Soviets move in to make this official, taking much of the profit through direct sales, but the DDR still gets to wet its beak due to its role as a transit nation and, more indirectly, thanks to the channels of communication it had opened (hence basing the export arm in Berlin). It all comes back to the fundamental question currently plaguing NASA’s #JourneyToMars marketing campaign: Why? IOTL, JFK gave a strong reason to achieve one fixed goal, and after his assassination Johnson turned it into something of a national crusade, but after that the main reason for going on was (and is) to preserve aerospace jobs. ITTL, Muskie barely managed to persuade the country to back a much smaller effort in Columbia, but again without answering the questions of what should come next and why. Without the large industrial constituency that Apollo bequeathed NASA (as almost all of the Columbia infrastructure was loaned from the Air Force), pushing for the next step is even more challenging ITTL. On this topic, I remember my amazement when I first saw the film Forbidden Planet (made one year before Sputnik) and discovered it was set 300 years in the future - and mentioned in the prologue the first manned moon landing not taking place until “the final decade of the 21st century”! It’s easy to forget just what an amazing and apparently anomalous event Apollo really was. It's not a miracle. We just decided to go. I'm with Lovell on this. Although the Moon effort was a big push by US Governmental budgeting standards in the '60s, it still didn't cost a big part of US GNP, and we could decide to go again just about any time. We'd have a lot of catching up to do, but the US still has the VAB, we have the launching pad, we have the crawlers. We just have to decide to spend some money on rebuilding the hardware (most rationally, just set up the facilities near Cape Canaveral and haul everything in on trucks) and quite a lot of it has evolved in the interim despite the lack of interest. There are two different upgrades of the F-1 engine I'm aware of that I believe have been developed to the stage of being built in metal, for instance; either would boost the payload of a new Saturn V with no other changes whatsoever significantly. We have the designs for the J-2S on hand. We've made a lot of improvements in stage structure so the tankage would be different and better; our chief limit in upsizing a rocket beyond Saturn V capability is the size of the existing doors in the VAB and the gantries at the launching pads. So I'm suggesting just modest size increases mainly in payload, to take advantage of the newer engines; the propellant loads remain about the same. We could, within I'd guess less than 5 years including the testing programs for the new edition engines and structures, be sending an Apollo Take 2 mission to land on the Moon every year, and the cost would be significantly less in inflation-adjusted dollars than it was in the early 70s. It all comes back to the fundamental question <snip> Why? Since when have humans ever needed a reason to do anything beyond "Because we CAN?" Especially people with money (and therefore power); they spend obscene amounts of money on asinine BS, why not have their own private space program? Bragging rights and you benefit mankind as a sidenote. And I can't for the life of me understand why. It seems like there's a new apocalypse around the corner every other week: ozone hole, global warming, solar storms, comets, asteroids, Y2K, The end of the Mayan calendar in 2012, the Norse Ragnarok was supposed to be this past February, there've been so many earthquakes & tsunamis the Earth might just spontaneously explode like Krypton... If one of them ever actually pans out it sure would be nice to have someplace else to evacuate to. I'm thinking Mars, but you never know, Titan or Ganymede might turn out to be really nice too. Energy crisis? I'm still in favor of orbital solar/microwave power (to be supplemented with fusion whenever we figure that out). It may not be perfect, but what human-made solution is? At least it's clean, and by the time it ceases to be renewable, we'll have much bigger problems to worry about. ....Shevek, I'll point you to this series of articles on the OTL USAF Air-Launched Sortie Vehicle, to which TTL's Shuttlecraft owes a large debt for a longer summary of how it's possible. The short answer is that the tank (like the OTL ET) needs to be very light, and the payload does end up being fairly small, both in absolute and in %GLOW terms, but it's quite doable within those constraints. The STS tank was indeed impressively weight-efficient; thirty tons or less to enclose 720 tons of propellant is well under 5 percent, and that's for hydrogen-oxygen! Already in the TL the standard Minerva second stage is just above 6 percent. The MAKS tank achieved much greater density by using kerosene for much of the delta-V; I estimated what a purely hydrogen burning engine using J-2S mass proportions would require and the mass came to very nearly the same, but the volume some 5/3 greater. Even so such a tank would apparently not be hard to get under 5 tons, though we need to consider carefully the aerodynamic bending stresses on it in this case, going from subsonic drop to quite high Mach numbers before it gets well out of the air, starting from horizontal and needing to maintain something like a 45 degree angle even while deep down in the stratospheric soup. OTOH if we need to add another 5 tons to the structure, but we can save a lot more than 5 tons in propellant by taking advantage of those aerodynamic forces, we might well come out ahead. No, I don't think it was tank mass that threw me; where I failed was in not understanding how little thrust margin beyond gross weight would suffice to achieve the necessary vertical delta-V. It seems that just 40 percent or so past the initial weight is enough to hold it in place and then start moving up decisively; I intuitively thought that it would require much more without significant aerodynamic lift. A second J-2S is sufficient and could be used for about 2/3 the burn too. It does strike me as a heavy burden for the spaceplane, though, with a quarter or more of its mass being the launch engines. I haven't been back there in quite a while; I'm not sure I can remember or recover my password, or even log-in name! I wouldn't know where to look there for encyclopediac discussion of air-launch options; I would think I'd be most likely to find a bunch of goofy suggestions and Jim going "No" to all of them. He's like Newhart playing Dr. Proton on Big Bang Theory. But look at what a Minerva B20 can accomplish. One uses up two E-1 and one J-2S engine and 272 tons of propellant to be sure, but it puts something quite as large as the new spaceplane they want into orbit--and something nearly as large into polar orbit. Offset by the cost of the launcher airplane and its maintenance of course! i share your skepticism that a standard USAF transport or tanker can simply have some latches welded on top and step into the breach; I think I've shown the plane does not need to do any of the daredevil maneuvers I once considered necessary to toss the rocket up, but it remains to be seen whether and how it can be ejected in a way that gives the plane the option to get out of the way in time! Probably the wisdom of dropping the rocket from the belly will be shown by experiment and even then it is a little difficult to imagine just what the airplane will do. Pull up into a steep climb just before release, then go steeper still to kill forward velocity and let the rocket drop clear down and ahead before it fires I suppose. The plane can also bank hard left or right to clear out. I do believe many standard models can do that, but of course adapting a plane to take on such a thick payload on its belly would be a major task involving very specialized long landing gear and so forth. The relatively smooth progression of planetary exploration missions that America had launched under the auspices of NESSA in the 1960s was beginning to experience some bumps in the early 1970s. The first and most serious setback came in 1971, when the Mars Surveyor orbiter failed to light its engine and continued past the Red Planet in a repeat of the Pathfinder-1 mission four years earlier. Unlike the more recent Pathfinder missions, the Mars Surveyor had no twin to carry on in its stead, and so the disappointed scientists had to make do as best they could with a few readings grabbed as the probe swung by the planet and back into deep space. Back on Earth, the next of the planned Surveyor missions, the ambitious Venus Radar Surveyor, was proving to be a lot more problematic than originally expected. In particular, the heavy power and sophisticated on-board computing requirements for its cloud-piercing radar were causing headaches, as was the robust thermal control system for the probe. By 1970 it was already clear that meeting the 1972 launch window was going to be extremely challenging, as costs expanded well beyond the original limits for a Surveyor-class mission. The failure of Mars Surveyor, with which the VRS shared a number of systems, was the final straw for a 1972 launch, and NESSA management officially confirmed a launch slip to the beginning of 1974. This relaxation of the schedule allowed the technical issues to be solved and, most importantly, fully tested. Ground testing was receiving a lot of attention following the loss of Mars Surveyor, with a renewed determination to ensure that the missions launched were as ready as they could be, even if it meant spending more time and money to safeguard the investment already made. The growth in the cost of the VRS had knock-on effects for the rest of NESSA’s planetary programme. The original intent had been to launch Surveyor missions every 2-3 years (depending on launch windows), with the more expensive Pilgrim-class missions coming once every five years or so, and cheaper Pathfinders filling in various gaps. So far, the only Pilgrim mission had been 1970’s Pilgrim-1 lunar sample return mission, and NESSA had hoped to follow it up with a Mars lander in the mid-1970s before turning its eye towards the big opportunity of the decade, the so-called “Grand Tour” of the outer planets. First identified in the early 1960s, this mission would take advantage of a unique planetary alignment to make flybys of multiple outer planet targets by individual probes. Although flybys would normally be considered as Pathfinder-class missions, the extremely long duration of the mission (the probes would have to survive twelve years or more in space), as well as the desire for multiple probes to explore different targets, meant that NESSA had quickly bumped these up to the status of a Pilgrim-class mission, soon rebranded as the “Outer Planet Pilgrimage”. By 1970 there had already been concerns that the demands of the Outer Planet Pilgrims would eat into allocations for the Mars lander. NESSA were proposing four separate probes for the OPP, with one pair to launch in 1976 and 1977 bound for Jupiter, Saturn and Pluto, whilst two more probes would depart for Jupiter, Uranus and Neptune in 1979. With the failure of Mars Surveyor, in 1971 NESSA confirmed the cancellation of the Mars Pilgrim, to be replaced by a second Mars Surveyor for a 1975 launch. This should have freed up sufficient funding for the full Planetary Pilgrimage, but the problems with the Venus Radar Explorer presented NESSA with some tough budgetary decisions in 1972. Unable to get an increase in funding from Congress, NESSA management elected to buy time by giving the go-ahead for just the first two Outer Planet Pilgrim spacecraft, to be ready for the 1976/7 opportunity. The hope was that funding for the second pair of probes could be found in the next couple of years, in time for their construction ahead of the 1979 launch window. This hope in turn ran up against the second great celestial opportunity on NESSA’s radar: the return to the inner solar system of Halley’s Comet. Probably the most famous comet in history, Halley was expected to make a spectacular reappearance in the night’s sky as it approached perihelion in 1986. Almost from the agency’s inception, NESSA had highlighted Halley in its long range planning documents as a target of extreme interest, and they intended to make the most of it. The problem was that, in comparison to the planetary targets already visited, Halley was in an extremely energetic orbit. A conventional space probe on a flyby trajectory would pass the comet at a blistering relative speed of over 60 km/s, far too fast for the kind of extensive scientific measurements NESSA wanted to conduct during this literally once-in-a-lifetime opportunity. What was really wanted was a rendezvous mission, that would match the comet’s orbit and pace it as it rounded the sun and headed back out into deep space. Unfortunately, the massive delta-v requirements of such a mission were well beyond the scope of any conventional probe of useful size, even if it were launched on a Minerva-B24 moon rocket. Undeterred, NESSA’s scientists and engineers proposed not one, but two options to meet this challenge. The first and most elegant was the solar sail, a huge, lightweight expanse of metallic foil that would use the pressure of solar photons to slowly accelerate it out of Earth orbit towards a rendezvous with the comet. By sailing on light, such a probe would expend no propellant, and so could remain with the comet for as long as its systems remained functional, or travel onwards to a second, or even third target. The second option proposed was the ion drive. Studied in laboratories since the 1950s, this rocket engine would use electrical energy in place of chemical reactions to accelerate its propellant. In principle limited only by the power available, such an engine would have efficiencies far greater than chemical engines, or even the hypothetical nuclear thermal engines that had been briefly studied in the 1960s. By also taking advantage of a gravity assist from Jupiter, this would enable a probe of only modest mass to accelerate through the large delta-v needed for a rendezvous with Halley’s Comet. Both proposals relied upon unproven new technologies. For the solar sail, the main questions were whether such a large, delicate structure could be reliably deployed and controlled in space. For the ion drive, was it even possible to build engines that would function reliably and continuously, day after day, for years at a time? If NESSA was going to rely on these technologies for a major mission, there was clearly considerable technological development to be done, which meant starting immediately, in the early 1970s. If selected, the ion powered probe would have to be launched in 1978 in order to perform a complicated transit via Jupiter to bring it into Halley’s high-inclination, retrograde solar orbit. Even the faster solar sail would need to be on its way by 1981, to first spiral in close to the sun before boosting itself towards a 1986 rendezvous. In order to resolve these issues and make a final selection on the method to use, NESSA proposed to use two Pathfinder-class missions to perform a fly-off. To avoid possible schedule slips in these high-risk probes from being constrained by tight planetary launch windows, both were to aim for a target that wasn’t subject to significant orbital motions: the sun. The probes would spiral inwards to half the Earth-Sun distance, making close-in observations of our nearest star, whilst at the same time validating the technologies needed for the Halley encounter. The choice of target also played to the strengths of both propulsion systems by offering plentiful solar energy. Authorised in 1971, the ion drive powered Pathfinder-4 was built in just 18 months at NESSA’s Pasadena affiliate, the Jet Propulsion Laboratory, and launched into an Earth-escape trajectory by a Minerva-20c rocket in February 1973. Once checked out by mission control in Houston, the ion engines were fired, and Pathfinder-4 began to gently shape its trajectory towards the target orbit. The drive used was an electrostatic device based upon pioneering work carried out in the late 1950s by physicist Harold Kaufman at the then-NACA Lewis Flight Propulsion Lab. The subject of thousands of hours of testing in vacuum chambers on Earth over the previous decade, this was the first time such a device had been used in space. Its performance proved to be just as spectacular as hoped, reaching a specific impulse of up to 2700s, a vast improvement on traditional chemical rockets. Concerns that the engine’s operation might interfere with the science instrumentation was also allayed, as Pathfinder-4’s electrostatic, electromagnetic and plasma field detectors were all able to operate nominally with the drive active, though some of the more sensitive detectors did show an improved performance with the drive off. The principal problem found was with the endurance of the ion drive. Pathfinder-4 carried a single engine with a thrust of around 50 mN, which was intended to fire more or less continuously for six months to reach the final orbit. Unfortunately, after two months of operation, flight controllers observed the engine’s thrust beginning to drop. It was not a steady decline, and was even subject to brief increases before continuing its downward trend. By the end of the third month total thrust was down to 42 mN, where it remained for the next two weeks, before the engine suddenly cut off. Attempts to re-start it failed, and Houston was eventually forced to accept that the engine was dead, although they pointed out that science operations were continuing and were only marginally affected. Engineers analysing the failure concluded that it was due to a weakness in one of the main electrostatic plates leading to a higher than expected rate of erosion, causing a “burn through” in one sector that then allowed the ion stream to impinge upon a poorly placed control wire. When the wire eventually severed, the engine was shut down. The analysts were however confident that this issue could be solved by improved quality control and a design change to the control wiring, as well as through the use of multiple redundant engines on the Halley probe. Whether they would get the chance to prove this depended in a large part on how Pathfinder-5 performed. Approved at the same time as its ion-propelled sibling, Pathfinder-5 was the test mission for solar sailing. Planning at first to use a simple square sail around 10 000 square metres, the NESSA engineers had struggled to come up with a way of reliably deploying their design in zero gravity. Any such mechanism was virtually impossible to test on the ground, and so would have to be as simple and fool-proof as possible. Eventually, they decided upon the novel solution of dispensing with the square, monolithic sail and instead dividing the reflective area between a number of long, thin, blade-like sails. These could be rolled into dispensing drums for launch, after which the spacecraft would be given a spin such that each blade was deployed by centrifugal action. The final design called for two sets of four blades, with each set rotating in the opposite direction to balance angular momentum. The spin would help maintain the rigidity of the deployed “heliogyro”, whilst control of the spacecraft could be implemented through minor tilts in individual blades. Complications in the deployment and control systems meant that Pathfinder-5 took longer to reach the launchpad than its sibling, finally being lofted by a Minerva-B20 in June 1974. Like Pathfinder-4, Pathfinder-5 was injected directly into a heliocentric orbit to ensure that a failure of the propulsion systems would not lead to a loss of scientific data. Once on its way, but still within a few light-seconds of Earth, the twin, four-blade barrels were commanded to spin up and deploy the sail. The deployment was complicated by the need to ensure that each blade spooled out at the same rate, to keep momentum balance, and there were several stops and starts as one blade or another exceeded the strict deployment speed limits programmed into the controller. Almost a day after the start of deployment, as the blades reached just over 750m in length, one of the spools on the A barrel stuck for good, bringing the entire deployment sequence to a halt. A few days later, deployment of the B barrel restarted, allowing its four blades to extend to their full 1250m length, but the A blades stayed at 750m, necessitating a faster spin to balance the momentum of the B blades. As Pathfinder-5 continued its mission, the complications arising from this difference in spin rate were exacerbated by problems with the steering mechanism, as blade-twisting adjustments were found to cause waves to ripple along the blades, threatening a loss of control. This issue was manageable at first, and the probe was able to demonstrate some powered manoeuvres from pure photon energy, but when a control line snagged briefly three weeks into the mission it set up a ripple that led to a collision between blades on the A and B barrels. The delicate aluminised membranes and their complex control wires wrapped around each other in a dense knot, throwing the probe off-centre and causing more blades to tangle. Houston control quickly lost contact with the probe as it was smothered by its own sails. With the results in from both Pathfinders, NESSA engineers were faced with a dilemma. Both proposed methods had suffered failures, with Pathfinder-5’s seemingly the more serious. However, use of a solar sail for Halley would mean launching in 1981, giving plenty of time to resolve the problems found. Pathfinder-4’s engine trouble on the other hand would have to be solved in time for a 1977 launch, now just three years away. What finally tipped the decision in favour of the ion drive was the flexibility of the system compared to solar sailing. Large and delicate, solar sails were good candidates for rapid transits to distant objectives, but would be less useful for complex close-in manoeuvres such as those that might be experienced on an asteroid rendezvous or a mission to the moons of Mars. Their large size also made them impractical for Earth orbital use, as a fleet of such craft transiting between orbits would vastly increase the risk of collision. Also, their efficiency for more distant rendezvous missions in the outer solar system was severely limited by their dependence on sunlight. Ion drives on the other hand could be adapted to use other power sources, including nuclear fission. They could also find uses in satellite station keeping, extending the lifetime that could be squeezed from each kilo of propellant. This wider applicability is what led NESSA to confirm in early 1975 that the Halley Rendezvous Probe would be powered by a solar-electric ion drive. However, this announcement became somewhat lost in the noise, as NESSA was by then making headlines for other reasons. The first was the steady stream of results from the long-delayed Venus Radar Surveyor. After arriving at the second planet in mid-1974, the VRS had settled into a polar orbit and began pinging the cloud-shrouded surface with radar pulses. Over the next eighteen months, the spacecraft gradually built up a global map of the planet, revealing a world largely free of the impact craters seen on the Moon and Mars, covered in a strange mix of rugged uplands, smooth plains, and curious domed features, nicknamed “coffee rings” by the investigating team because of their overlapping circular form, that looked almost artificial. 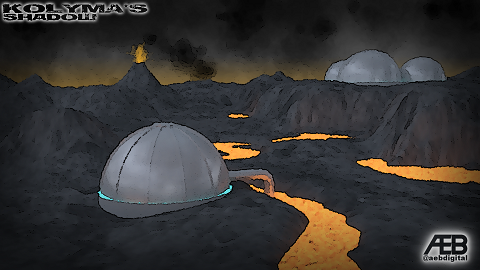 The images would go on to spawn conspiracy theories of an alien base on Venus (which was no doubt in contact with the alleged Secret American/Nazi Moon Base), but a scientific consensus soon emerged that they were probably volcanic in nature. In addition to these radar results, infrared measurements detected a number of hotspots on the planet indicative of active volcanic eruptions, a hypothesis backed up by spectroscopic readings of increased sulphur products following large infrared emissions. The probe also spotted flashes of lightning in the atmosphere, completing the image of an exciting, dynamic world next door. Venusian “Coffee Rings”, as imaged by the Venus Radar Surveyor in 1975. Less positive were the headlines accompanying preparations for the launch of the first two Outer Planet Pilgrims. Despite having been given the more media-friendly names of Mayflower-1 and 2, many newspaper and TV reporters chose to focus on two more controversial aspects of the project: its budget-busting price tag, and, more emotively, the use of plutonium dioxide as a power source. In the dim, distant outer reaches of the solar system that the Mayflowers were intended to explore, solar panels simply weren’t feasible, whilst the extremely long duration of the mission (up to twelve years) necessitated a power source of equal longevity. The only practical solution was nuclear, and so each Mayflower probe was equipped with twin Radioisotope Thermal Generators (RTGs) generating a total of 500W of electrical power. Environmental issues were gaining more visibility as the 1970s progressed (ironically, partly thanks to the work of NESSA’s own fleet of Earth observation satellites), and coming hot on the heels of a major incident at the Oyster Creek nuclear power station in November 1975, the launch of Mayflower-1 on 27th July 1976 drew a considerable crowd of demonstrators. Fortunately for everyone, the Minerva-B20c launch passed off without a hitch, projecting the 850kg probe towards its rendezvous with Jupiter. Just over a year later, on 30th August 1977, its twin Mayflower-2 spacecraft enjoyed a similarly trouble-free launch. Coming just two months after Congress had approved the funding needed to complete the follow-on Mayflower-3 and -4 probes, the mood in Houston was one of euphoria. America’s grand tour of the outer planets had begun. Holy crap we actually built a solar sail prototype! Didn't work very well, but still! Does anyone at NESSA or JPL (or anyone else for that matter) think to include an equivalent of OTL's Voyager/Pioneer messages/plaques on the Mayflower probes for when they inevitably leave the system? Also the "Domes of Venus" just reminded me to ask if any Soviet or American Mars probes have photographed "the Face of Mars" ITTL. one of the reason Solar Flower never fly was it complex unfold process, the other reason was lack money, the OTL shuttle program ate 1970s budget. Venusian “Coffee Rings” as alien base on Venus, seriously ? The Solar Sails didn't work as intended then? Given the extreme delicacy required of them due to the means of their propulsion, I'm not all that surprised. But the Ion Drive issues fixed in time for TTLs Voyager, and it looks to be rather a few more than we got IOTL, lack of STS sucking up the budget? IIRC, it was joked at the time that the last time they had such an opportunity to visit all the Outer Planets thanks to the Planetary Allignments was when Thomas Jefferson was President, and he blew the chance. the favor of JLP was design nick-called "Solar Flower"
it major problem with 1970s technology was, it got EIGHT unfold mechanism mean 8 time higher failure rate. In 1993 test Soviet, Znamya 2 a simelar solar sail but it failed to unfold complete. now Japan in 2010 and Planetary Society in 2015 got two operational Solar Sail in space. I'm also mildly surprised that Pathfinder-4 failed so early, because the actual first endurance test of ion engines in space, SERT-II, operated for several thousand hours of firing without any problems that I am aware of, and in 1970, too. Looking forward to next week, it cannot come soon enough. So, time for a comment catch-up! We have the designs for the J-2S on hand. Hell, the J2-X was on the test stand as part of a $1.2 Billion development contract - then it got mothballed! The US Government did decide to go in 2004, and the people with the money (Congress) loved it so much they forced the SLS and Orion on the Administration after the 2010 cancellation of Constellation, and have continued to fund them over and above the president’s requests every year since. They gave every indication of being happy to keep funding Constellation at its programmed levels even when the Augustine Report pointed out it would take at least a couple of decades, so I’m a bit wary of laying the entire blame at the door of a lack of political will to spend the money. Keep in mind, the primary objective of Shuttlecraft (the one approved, not the Space Truck option) is not to orbit 12 tonnes, but rather to orbit and return with 3-4 tonnes, and to do so at relatively short notice with a smaller ground infrastructure than you’d need for a conventional rocket. The Air Force is still planning to use expendable rockets for its heavy lift needs. Shuttlecraft is primarily for in-space hardware testing, plus some responsive optical and ELINT recon missions. (Some - including in Moscow - are also considering its use in exotic space-to-space ASAT missions, but these are not considered a driving requirement). The Space Truck proposal did try to justify itself on cost grounds… and failed. In an earlier edition of reply, weeks ago when the thing first came out, I wondered why Minerva was considered so very expensive for instance. Minerva is considered expensive because, ITTL, they don’t have a Saturn-sized monster rocket to compare costs with. By the standards of OTL in the same period, Minerva is pretty competitively priced (assuming you can actually work out its price through opaque Air Force accounting, hidden infrastructure and workforce costs and the like), but ITTL it’s the most expensive way to reach orbit. So with assembly lines rolling, I had to wonder just how costly Minerva launches could be expected to be. Make them cheap enough and there is no reason to push for reusability. As mentioned above, the key driver for the Shuttlecraft is not cost, but responsiveness. The argument being made is that launching from a relatively typical airfield (with the word “relatively” hiding a multitude of sins in the initial proposals ) can be done at much shorter notice than a standard Minerva launch campaign. there’s also the advantages of launching into any inclination simply by moving the carrier jet to a location with a clear downrange zone for the drop tank. Saying that, there is also undoubtedly a strong cultural bias towards maintaining a piloted spaceplane capability within the Air Force, flying to orbit rather than just turning a key in a bunker. Or something like this! (No, I’m not currently thinking to strap two 747s together, but it gives an idea of the sort of things considered feasible). Almost certainly, yes, there is a record of some description included with the Mayflowers. 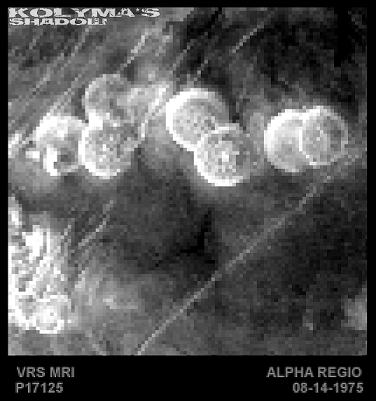 The Cydonia region will have been imaged by Soviet orbiters at least, and perhaps by US flyby missions, but the differences in resolution and (more importantly) lighting angles mean that the ‘face’ is not visible as such in any photos - it just looks like the rocky outcropping that it is. Both options were being seriously considered by NASA in the 1970s for a Halley rendezvous probe, but cost and technical uncertainties led to both options being deferred until they were no longer possible in time for the launch windows. ITTL, without the diversion of funds from probes to Apollo in the 1960s, NESSA has been thinking longer and more seriously about its upcoming opportunities, and so had time (just about) to arrange the Pathfinder-4/5 fly-off to demonstrate the technologies before making a final selection. As e of pi pointed out to me during drafting, Pathfinder-5 suffered from what Clarke in The Wind from the Sun called “A serious case of the wiggles”. Just to clarify, the Mayflower probes are not ion-propelled, but rather conventional probes very similar to OTL’s Voyagers. Ion propulsion has been selected for use on the Halley Rendezvous Probe, which we have yet to see launched. STS (or it’s TTL equivalent, Shuttlecraft) is sucking up budget, but not as much and, crucially, from someone else’s budget. NESSA is completely decoupled from manned spaceflight, which is primarily seen as a military activity, and so its budget isn’t directly raidable to support manned flight in the same way as NASA’s budget is/was. NESSA’s budget is pretty good for a science agency, but most importantly is quite stable, allowing for better planning (though as we’ve seen, failures like Mars Surveyor and cost growth from technically complex missions like VRS can still throw a financial spanner in the works). NESSA is also moderately politically popular, producing lots of cool photos in the press, as well as providing useful services like weather forecasting, so it’s not generally seen as a prime target for cuts. Yeah, that’s the problem, as Pathfinder-5 found out. However, my impression is the heliogyro design was still the best contender in the 1970s due to the relative simplicity of the use of centrifugal effects to help deployment and stability. IMO, the biggest problem facing solar sail designs is the near impossibility of testing them on the ground. As mentioned in the post, ion engines have done thousands of hours on the test stands ITTL too. The issue on Pathfinder-4 was mostly quality control and human error, which saw a weakened electrostatic plate next to a control wire, put down to the rush to get Pathfinder-4 out of the door ahead of the rival Pathfinder-5. It’s a pretty simple design and QA fix. Glad you’re enjoying the story! Next week, as promised, we’ll finally be taking a look at how Europe’s rocketeers are fairing. Interesting, it’s not a topic I came across in detail, though I do remember reading books as a kid that all seemed to favour mercury as the working fluid for some reason. Well, mercury is dense and liquid at room temperature and pressure, so for a given delta-V you end up with a rather small and simple tank compared to what you need for the noble gases. Cesium, as I recall, is particularly easy to ionize, but of course it requires heating to remain liquid. Apparently, the high mass of the ions is also beneficial because the ionization energy dominates. As mentioned in the post, ion engines have done thousands of hours on the test stands ITTL too. Sure, but the point was that SERT-II was an actual space mission that tested ion engines in space, not on a test stand. It stuck to Earth orbit, but otherwise it was quite similar to Pathfinder-4.